Manhattan Musical Theatre Lab announces the final presentation in their 15th Anniversary Season: TAKE A TEN will be presented on Thursday, July 23rd at 7:00pm at Ripley-Grier Studios, Studio 17D, located at 520 8th Avenue. 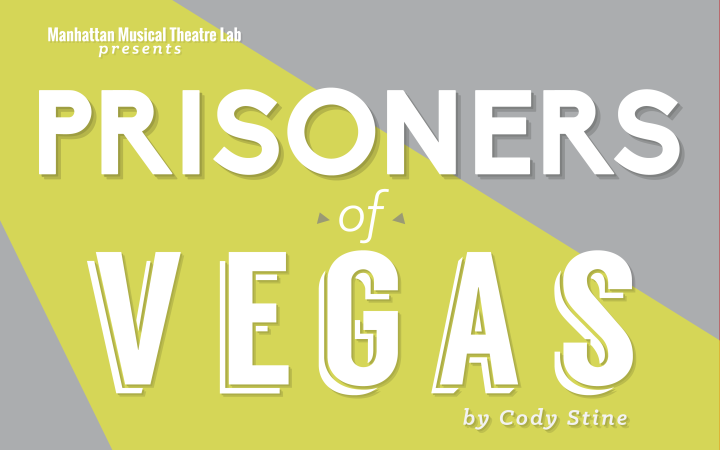 For the first time ever, seven all-original, ten-minute musicals from the award-winning podcast TAKE A TEN will be presented radio-show-style with live sound effects, a rotating troupe of actors, and a live band. TAKE A TEN is the first podcast to write, orchestrate, and record brand-new ten-minute musicals every month, featuring Broadway and NYC actors like Laura Osnes, Rob McClure, Nick Blaemire, Remy Zaken, and many others. Episodes have been produced live at festivals, schools, and cabarets internationally, including two years at Theatre Now New York’s Soundbites festival, winning several awards including Best Musical. The episodes will feature music by Andy Roninson with book and lyrics by Kate Anderson, Chris Critelli, Greg Edwards, Kevin Hammonds, and Andy Roninson. Playing multiple roles each will be Christiana Cole (The Brady Bunch), Chris Critelli (Bull Durham), Aaron Phillips (GTA V, World of Warcraft), Bruce Sabath (Company), and Tiffany Topol (Once), with a special guest appearance by Cyrille Aimée (2015 Downbeat Winner – Rising Star). 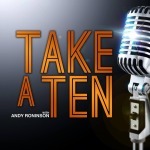 TAKE A TEN is available for free on iTunes, Soundcloud.com, and on www.TakeATenMusicals.com. Andy Roninson (Creator) is a composer/lyricist, pianist, and music director living in New York City. He is a member of the Advanced Workshop of the BMI Lehman Engel Musical Theatre Writing Workshop where he was awarded the Robert B. Sherman Scholarship in 2010 and the Jerry Harrington Award for Outstanding Creative Achievement in 2011. He has written music and lyrics for two full-length musical comedies, Exorcism on Aisle Five (2009) and For The Birds (2010), both with librettos and direction by Kristofer Wellman. For more info, visit www.andyroninson.com. Tickets are $20.00 for General Admission and $15.00 for Students and Seniors. Tickets are available for advance purchase or at the door: www.artful.ly/store/events/6534. Any ticket questions please contact: MMTLReservations@gmail.com. I feel privileged to be part of the musical theater writers community, which I engage on many levels: as writer, as producer, as curator, as collaborator, as fan. Since I am always working on at least one new work, I will always be grateful to organizations like MMTL, that nurture the work of writers.